I hope you had a great Saturday. Mine was pretty good! This afternoon Koa played two games in the baseball tournament, and although they lost both, they played well. Probably the best they have played as a team so far this year! However, the teams they went up against were very good… a “select” team, and then the team with the second-best record in the season so far. Koa did great at the plate, knocking a double over the left-fielder’s head, and then coming round to score later in the evening. He later walked, but got stranded on third. In the next game, he had another hit into the outfield, getting a couple RBIs. He did great! Tomorrow, they have one more game, and I hope they continue with their great play. 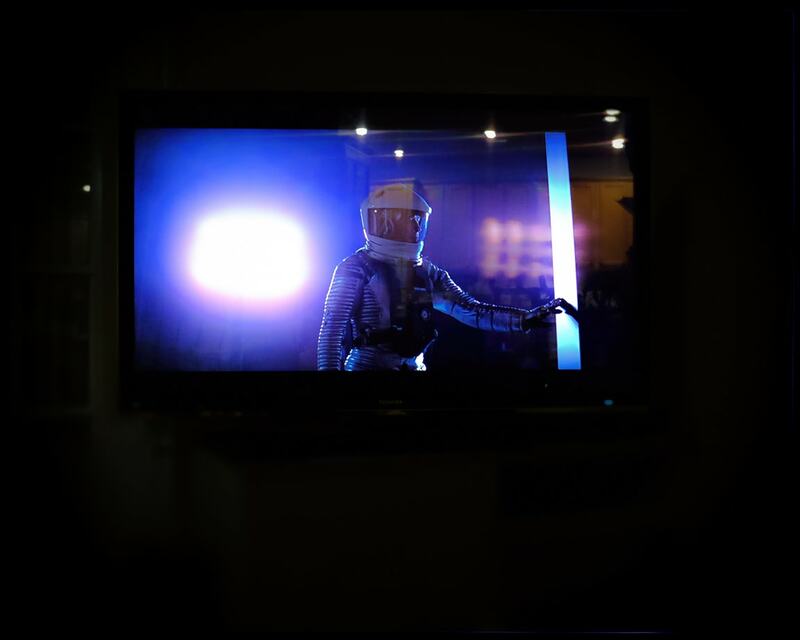 After we came back home, I watched 2001: A Space Odyssey with Bay, as you can see in the photo. It’s amazing to think that this movie was release on this day back in 1968, which is the year I was born. The special effects were incredible for the time, and still look great. If you haven’t seen the movie before, or if it has been a while as it was in my case, I recommend watching it again. It’s a true classic. Well, it’s almost bed time for me, so I’ll sign off for now!